When we decided on Iceland as our honeymoon destination, we got a lot of the same reactions from people, “Iceland?! How did you pick THAT? !” (Identical responses when we decided to move here, but I will save that for another post.) You see, we are not beach people. We met on an outdoor adventure trip! So naturally we are drawn to anything that involves being outside and active. Originally we had our sights set on Scandinavia. Since I have Norwegian ancestry, I have always wanted to visit the beautiful fjörds and see where my great-great-grandparents roamed. While Norway is still very high on my bucket list, when we started looking at pictures of Iceland, I couldn’t believe my eyes. How does one country have so many diverse landscapes?! And the adventure tours they offer are unbelievable! AND you can do a self guided tour at your own pace around the entire country?! Count me in. Thats right. The Ring Road, or Route 1, is the road the encircles the entire country. Many of the most popular tourist attractions are on or near the road, making it easy to see what you want to see and spend as much time as you would like at each stop. Most of the guided tours of the ring road are 10 days, so I was worried that we wouldn’t be able to fit everything in in the seven days we had available. When we started mapping out the places we wanted to stop, we realized we could do it, but we wouldn’t be able to spend a lot of time at each place. Thanks to advice on forums such as Trip Advisor and Lonely Planet, we determined we would rather see more of the country than spend more time in each place. Let me go ahead and break the suspense and tell you that IT. WAS. SO. WORTH. IT. While there were things we didn’t get to see, we both agreed that the self guided road trip was a great fit for us. Here’s a full recap of our 7 days on the Ring Road in Iceland – for our honeymoon! Thankfully the Keflavík International Airport is one of the smallest and fastest airports to get through. A stop at duty free is a must, since alcohol in Iceland is regulated by the government and is very expensive to buy elsewhere. We head to the rental car pick-up which is by far the most popular spot in the whole airport. Wanting to live out the Walter Mitty dream, I hope our car is either “a blue one or a red one” (honestly you would not believe how many little red cars are driving around Iceland! Each time we saw one we said “Walter Mitty dream!”) We ended up with a Kia Ceed, which we became quite fond of. As we are standing in the long rental car line, trying to keep our eyes open while calculating in our head what time it was back home, we decide to change plans and treat ourselves to the wonderful mineral rich geothermal spa waters of the Blue Lagoon. Yeah, yeah, touristy I know…but this is our honeymoon! Tourists aside, it felt AMAZING after a long overnight flight. After we were silica-masked up and rejuvenated, we headed into Reykjavik to explore. Laugavegur is the main street in the city, and is filled with many cute shops and restaurants. We stayed at the Backpackers hostel which was really nice and convenient to walk much of the city. First stop, ice cream. Naturally before we left I researched the best place to get ice cream in Reykjavik, and Valdís definitely held up to its hype. We wandered around the harbor and marveled at the charming city. How adorable are those streets?! For our anniversary dinner, we had reservations at the Fish Market. This. place. was. amazing. 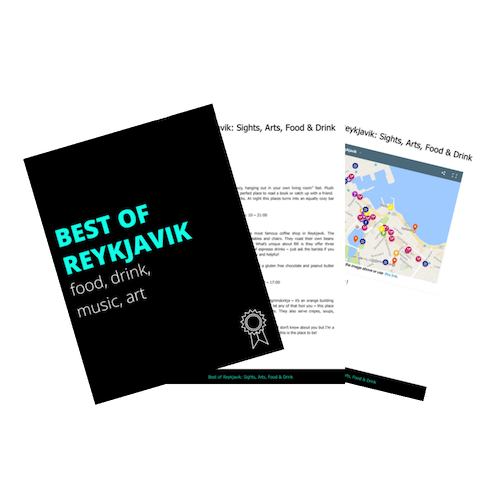 If you are in Reykjavik looking for delicious cuisine, I highly recommend it. For an appetizer our server suggested raw whale, which was like pure heaven in my mouth. (Don’t get all PETA up in arms, whaling is a big part of Icelandic culture and industry!) For our entrees, Bobby had the famous Icelandic lamb, and I had salted cod which were both deliciously prepared. Also because our server was so awesome and knew we were celebrating our honeymoon, he brought out a huge dessert sampler platter – I swear we were treated like royalty! I knew we had a big day of exploring ahead of us, so we woke up early to get some breakfast before we got on the road. Like other things in Iceland, it is not common for places to be open much before 10am. And to get a hot breakfast early in the morning? No chance. Thankfully wedrove past this cafe in the harbor that had meat croissants and coffee. Small coffee, always a small coffee. We started off with the traditional Golden Circle route. The drive through the GC and Thingvellir is supposed to be beautiful, but unfortunately we had rainy and foggy weather, so we just headed for our first stop: Gullfoss. In Icelandic this translates into “golden falls” and was a stunning sight. It is a massive amount of water and falls into an impressive gorge. Geysir is another popular stop that is along the golden circle, which I didn’t get too excited about. It was neat to see, but I could have lived without it. Seljalandsfoss was our next stop so by now I’m really excited because A) we are finally on the ring road and B) I love waterfalls! It was so funny because we are driving the Southern coast of Iceland and already in awe of its beauty when we see this big waterfall in the distance. Now there are a lot of waterfalls on this drive, but this one is bigger! So I’m telling Bobby to look at it and tourist-crazy that I am, I start taking pictures OF the waterfall, FROM the car! Then I realize that waterfall is our next stop (blonde moment). The unique thing about this waterfall is you can walk behind it! Just make sure you have your rain gear on and bring a wide angle lens for your camera because it’s way bigger than it looks when you walk behind it. This was the emotion on my face during most of our trip. Pure awe. After lots of photo taking, we drove down the road for the next stop: a pool at the base of a glacier naturally filled with hot spring water. What. Is this country real life?! The pool is slightly hidden – over a stream and in a valley – which requires a short 30 minute walk to get to. It was still raining and the wind had picked up, so a swim in this warm water in the middle of the mountains was welcomed and surreal. This pool is a little off the beaten path, so we were literally the only ones there for most of the time! We headed to the breakfast room at Hotel Skogafoss to enjoy our newfound love of a traditional Icelandic breakfast. The hotel has a direct view of the gorgeous Skogafoss waterfall. I know it seems like this trip has been all about waterfalls so far (which is ok with me!) but each waterfall is very different. Skogafoss is one of the biggest waterfalls in Iceland and is simply stunning to see. There is also an easy walking path to get to the top which is another great view of the falls and out to the ocean. Our next stop was Reynisdrangar which is a black sand beach with big rock formations coming out of the ocean. We were also hoping to see some puffins (which are the cutest birds you’ve ever seen!) but they had already left for the season. Dyrholaey is a close walk from the black sand beach, and is one of my favorite parts of the trip. It is a massive rock formation that juts out into the ocean with an open arch underneath. It literally translates to “hill-island with a door hole.” We walked out to the end where the view is amazing. Black sand beach and columns on one side, ocean ahead, a glacier behind, and you can see up the coastline for miles. The view from the top of Dyrholaey – I love this photo! After the breathtaking views, we get in the car and continue East to Skaftafell National Park. One good thing about driving the ring road is being able to see SO many incredible views around the country. I swear every turn was more beautiful than the last! There are a lot of stand alone houses in the middle of nowhere – usually at the base of a waterfall and they probably eat what they grow. Awesome. Another thing we have noticed by now is that there are sheep EVERYWHERE. Fact: sheep outnumber humans in Iceland! Note to travelers: Critical on this road trip is a carefully crafted playlist to accompany the exquisite views. Of Monsters and Men is now the soundtrack to our Iceland honeymoon…which is quite fitting since they are from here! We also noticed that along the drive is the incredibly unique and vibrant moss growing on top of lava. How crazy looking is that?! And it’s REALLY thick and squishy! I felt like we were on another planet. Before Kirkjubaejarklaustur and a little off the beaten path is a beautiful gorge called Fjadrargljufur. I’m not making these words up! Not only are their words twice as long as normal words, but they have more consonants than vowels, and include symbols I’ve never seen before! Anyway, its worth the stop, as you can see. As if the trip hadn’t been awesome enough already, day 4 was hands down my favorite day. Although it was VERY windy and cold, the sky was sunny and clear for the first time, so we were excited! Our day started at Jokulsarlon – the glacier lagoon. So I’ve been to New Zealand and seen glaciers and done a boat tour through the water, but THIS. PLACE. Words definitely can’t describe, and a picture looks great but still doesn’t even capture its magnificence. There’s a reason we put it on a 40″ canvas above our couch as soon as we got home. Although we did take the Amphibian lagoon tour, it wasn’t necessary – our favorite photos were captured on land. Another must-see is the walk down to the ocean across from the lagoon. As the icebergs break off the main glacier, they float around in the lagoon and eventually down the river and out to sea. Some of the pieces stay ashore on the beach, and make for great photos. Remember when I was saying that driving the country is a good idea and every turn is something different? Well I felt like I hadn’t seen anything yet when we got to the East coast drive. The Eastern ring road travels right along the ocean and weaves in and out of fjords. There were many times when the narrow two lane road seemed pretty small between a gigantic mountain face and the steep cliff into the ocean. This is another time where pictures honestly can’t do it justice. Obviously we had to stop for a honeymoon selfie…and I had to express my love for this glorious country by doing star jumps! That night we stayed in an adorable little guest house in Egilsstadir, which is another one of Iceland’s charming little towns. We walked down the street for dinner and I tried reindeer for the first time and it.was.so.delicious. Reindeer can only be found in the East of Iceland, so if you see Reindeer on the menu, I HIGHLY recommend it!Just as we are heading home we notice how clear the night sky is and decide to look into the northern lights forecast. When the site said “in the next 24 minutes the aurora will be STORM LEVEL” we immediately got in our car and drove to the middle of nowhere. You guys. The first time I saw the northern lights I thought my heart was going to burst open. It was the most excited I had ever been in my life. We were all alone in the middle of nowhere, it was pitch dark, and these green lights were just POURING down on us and dancing around the whole sky. I was literally running around in the middle of the road, screaming and doing star jumps. It was the most breathtaking and memorable experience I had ever had. Thankfully Bobby was patient and diligent enough to take some pictures – I couldn’t stop celebrating a lifetime of getting to experience the top of my bucket list! We had a couple hour drive to Husavik but made a stop at Lake Myvatn along the way. This is where the infamous ice cream picture comes from. We stopped at a gas station and I ordered a chocolate dipped cone and it was the creamiest most delicious ice cream cone I had ever had (that or maybe I was still experiencing euphoria from the night before?!) We drove around Lake Myvatn and also hiked up this inactive volcano dust bowl thing, and honestly I could have left this whole party off the itinerary. (We chose this over Dettifoss which I would recommend instead.) The Myvatn baths are also close, which is a good less touristy alternative to the Blue Lagoon. When we drove into Husavik I thought I had been transported onto a movie set. This was the most adorable town I had ever seen! On top of that, it was the most beautiful weather day we’d had yet…at one point I was in a tank top! We explored around the harbor, walked through the whale museum, and had enjoyed another Icelandic classic, lamb. We had a whale watching tour scheduled that I was pretty excited for. Unfortunately the whales didn’t cooperate so we only got to see the tail of one whale the whole two hours we were out. Either way, it was a fun experience and I would highly recommend the tour if you are in Husavik. Back on the ring road, we stop for one more waterfall: Goðafoss. This waterfall is definitely worth a stop, especially since it’s right off the ring road. Next we headed to Akureyri, the second largest city in Iceland. We wandered around the streets and got the best souvenir – an authentic wool blanket! After dinner as we were walking back to our hotel, we happened to look up to see the northern lights again! Of course we drove out of the city to get a better look. I don’t think I would ever get tired of seeing them. One of Bobby’s favorite places is the cutest cafe that makes a mean latte and homemade waffle. Fjoruhusid is a tiny cafe that is literally built into the ground in Hellnar and is definitely a place to stop. We also had a wonderful horseback ride along the south coast of the peninsula through a lava field with Lysuholl, which I would highly recommend! On the Snaefellsnes peninsula is yet ANOTHER adorable town – Stykkisholmur. Since we were obsessed with The Secret Life of Walter Mitty, I knew this was a must see town (if you haven’t seen it yet – watch it! It will definitely make you want to travel to Iceland). There is something that I love about lighthouses…especially when they are framed by a rainbow?! I know what you’re thinking, this places just keeps getting better! Sadly, we started heading back to Reykjavik so fulfilled from our amazing week, yet wanting more. We honestly were already talking about what we wanted to do on our next trip to Iceland. Considering we both have done quite a bit of traveling with an insatiable wanderlust, this is a bold statement. Iceland is the first place that we both wanted to go back to before we went somewhere else. I felt a deep connection with this country that is hard to put into words. Maybe it’s the perseverance of the viking heritage. Maybe it’s the dedication to sustainable energy. Maybe it’s the purely stunning and untouched nature. Maybe its the genuinely happy Icelanders. Maybe its just a perfect combination of it all. To me, Iceland was always meant to be. Everything that happened up to this point in my life has lead me here. And people wonder why we moved to Iceland. Next time someone asks me why, I’ll simply direct them to this post. Question: Is there a place you loved so much you considered moving to? To see the rest of our Iceland honeymoon photo faves, click here! Hi Jeannie! Did you stayed in one place for the 7 days? I’m going to Iceland this May and I will be staying in the same place, will it still be possible to travel the Ring Road, or at least most of it? Also, for the ring road do you recommend a 4×4? I would like to explore the best I can Iceland during those days. No we stayed in a different place every night. The ring road takes 14 hours so you have to be on the move! A 2wd is fine for the ring road. Jeannie – I’m thinking about a mid-september trip and this blog has been the most informative I have read! I am also obsessed with Walter Mitty, the inspiration for my trip to begin with. What time of year did you do this trip and is mid-Sept a good time to do it? we have been following you for months now as we near our trip in the next day. we have our camper van rental ready to go for the next 7 days. Do you think its possible to make the full ring road at this time of year? Hi! My husband and I planning a week-long trip in June and are inspired to follow your itinerary. Quick question: where did you guys stay between days 3 and 4? It seems a bit tricky/expensive to stay around southern Iceland, do you have any suggestions? Thanks for a great blog! I’d love to know the answer to this question as well! Also, did you just rent a 2-wheel-drive car or did you go for a 4W? I’ve heard some of the roads can be pretty rough, but if your trip didn’t require the 4W, that would be great to know! Never mind my question about the rental car – I just finished reading your blog about rentals! Hi Jean! So glad my itinerary could inspire your trip. We stayed at the Vagnstaðir hostel not far from the Glacier Lagoon. Have a great trip! Thank you Jeannie, I have been trying to plan a 7 day itinerary for September, and you have just confirmed that it can be done, the pictures are amazing. It was interesting to see how rugged up you where for that time of year. We are coming from Australia so long distance driving is the norm for us. However we have driven in NZ, and 100klm doesn’t necessary mean 1 hour, as the roads, are narrow and windy, and you just want to stop to take pictures of the amazing view early 10 minutes, so it can take you hours to travel short distance, and I am sure Iceland will be even more amazing. I didn’t know if we had enough time to do circle the country. Love your blog and detailed 7 day itinerary, very helpful. I’m heading there first week of March. I plan to drive the entire Ring Road; in your opinion, with the unpredictable weather, is driving the Ring Road do-able? This is one of the most helpful posts I’ve seen yet! My girlfriend and I are going for 7 days at the end of March and we may have to copy your itinerary. We were looking into renting one of the vans that you can sleep in but are now thinking of spending a little extra money for overnight accommodations. Were hotels/hostels expensive for you? 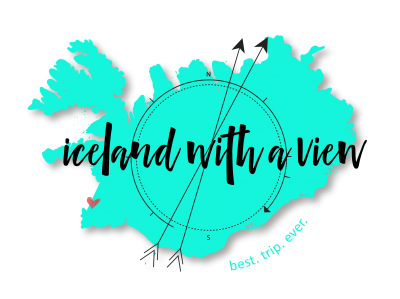 I am currently planning a trip with my friend and with limited time in Iceland I am trying to determine the best road trip to take and see the most we can! Our dates are not final, but we are currently planning around 5 full days in Iceland. In my research it seems that everyone does the drive the same way meaning starting in Reykjavik and heading east around the ring road. I know it might be more expensive, but I was considering flying into Akureyri from Norway and renting a car to go one way and almost take the trip the reverse to start towards Dettifoss and head east and south to end in Reykjavik. I’d love to hear your thoughts if something like that is possible or because of road conditions everyone usually goes the same route as you blogged. Also planning to visit in September this year. Hey Tara! People do tend to take the same route, so I LOVE your idea for the road trip! I think you will really enjoy it – the North has so much of it’s own unique beauty! Hi Jeannie ! Thank you very much for this beautiful article. Beautiful pictures too. A friend of mine and I are planning a road trip in the earlier part of March for 8 days. Following almost your itinerary. March, the internet says is a good time to sight the Aurora. Fingers crossed ! But would driving be a problem? Would we necessarily need a 4×4? We would be on a very tight budget. Hi Rishi! You shouldn’t need a 4wd in March, but make sure your rental has winter tires! Have an awesome time and I’ll cross my fingers for the lights! My fiancé and I are planning to do Iceland as our honeymoon, but for 10 days! To echo Caitlin above, what might you have added if you had a few extra days? I saw one of your other articles about the Westfjords region, and that sounded interesting to me! Our honeymoon will be in early May though, so I don’t know weather-wise if that would work. Thanks for helping out so many people with your blog! I just told my fiancé that we might end up moving there if we like it so much, then read how that happened to you! Hey Heather! Sounds awesome, 10 days is a good amount of time. I think May is a little ambitious to add Westfjords – they still have a lot of snow at that time! I would add Seydisfjordur to your itinerary for sure – ADORABLE little village just 20 minutes off the ring road. Loved this post! I am taking an 8 day trip around the ring road….are there places you would have gone if you had an extra day? Also, what time of year was your honeymoon? ABSOLUTELY add Seydisfjordur to your itinerary! That is my second favorite town in Iceland 🙂 It’s only a 20 minute drive over a mountain road just East of Egilstadir. Our honeymoon was in early September. What is the name or directions to the hidden hot spring near Seljalandsfoss? Hi Valerie! The pool is called Seljavallalaug, I’m writing a post about it next week! When is your trip to Iceland? My husband and I and our 7yr old are stopping in iceland for 4 days in July and will be staying in Reykjavik. Saw your post on 8 stops on the golden circle that no one tells you about…wondering if this is doable in 4 days? If so, which attraction would make sense for each day. THANKS! Hi Wendy! You can actually do the Golden Circle route in 1 day, including the main stops as well as the 8 places I talk about. It’s an easy route and everything is pretty much right off the road. Have a great time! Great read, but many of your pictures are missing. Hi Simon, thanks again for letting me know. I am working on updating this post as it is a mess when it transferred from my old site. Just think…you get to see all of these places in two weeks!!! Loved it!! Can’t wait to come visit and see the beautiful countryside for myself! Answer to your question: ALASKA. doi 🙂 The aurora was great here last night and I thought of you two. This post is really fantastic, and would be useful to A LOT of people. Consider posting it in a Trip Advisor forum; and remember to include the blog name to generate more followers! Hooray! Ya, obviously Alaska! Thanks for the tip, great idea! This is fantastic! You have given the best descriptions to help us feel like we were there- and I cannot wait to see it one day in person! Cannot wait for your next blog post! Thanks for the support Tammy – it’s pretty obvious why we love it here! We would love to see you two in Iceland!!! Well that was fun to read!!! Makes me want to visit even more! Yes – we’re slowly learning how to pronounce everything! Hello Jeanne, thank you so much , your post was great reading, is April a good time to visit? Absolutely, April is a beautiful time to visit!